Home » Blog » What Happens When the IRS Sends a Letter? 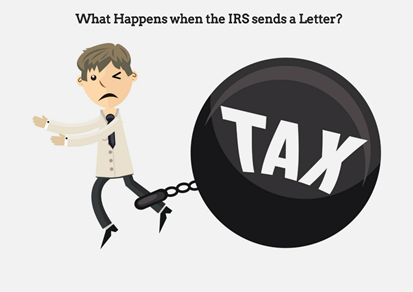 What Happens When the IRS Sends a Letter? Every year, the Internal Revenue Service (IRS) audits thousands of American taxpayers and businesses. When that happens, it becomes stressful. If the government determines that money is owed, it will attempt to collect by adding penalties, filing tax liens against property and taking a percentage of wages. Most taxpayers are unprepared to meet such demands, even when if they feel that their mistakes are honest ones.